Drug traffickers are stepping up their game by going online to do their dealing, and the U.S. is in hot pursuit. Online drug sales are complex because dealers use the Darknet as their marketplace. To make sure the traffickers meet their match, the Department of Justice has created the Joint Criminal Opioid and Darknet Enforcement (J-CODE) team -- a unit that combines the moxie of seven government agencies: the FBI, Drug Enforcement Administration (DEA), United States Postal Inspection Service (USPIS), U.S. Immigration and Customs Enforcement Homeland Security Investigations (HSI), U.S. Customs and Border Protection (CBP), Department of Justice (DOJ), and Department of Defense (DOD). J-CODE also gets support from Europol given the enormity of trafficking that takes place across borders. It’s that digital difference that makes for a Darknet drug dealer. It gives them added reach, not only in the volume of people they can tap into but the ability to do business with anyone from Seattle to Maine. “Just by taking down one Darknet drug vendor, you could have the same effect as taking down a traditional mid-level size drug trafficking organization,” said FBI Hi-Tech special agent Maggie Blanton in an FBI video describing the operation. One coordinated sweep that J-CODE just wrapped up is Operation SaboTor. According to Blanton, J-CODE cherry-picked agents from the cooperating agencies who, in turn, went on the prowl for leads. Once those leads were collected, a complete list was sent out to J-CODE’s partners, who worked together in creating a dialogue with Darknet drug users to make arrests. All in all, the operation partners spoke with more than 100 Darknet drug buyers, arrested 61 Darknet drug traffickers, and seized 51 firearms, nearly 300 kilograms of drugs, and more than $7 million in cash and cryptocurrency. The FBI warns consumers that they should avoid buying drugs via third-party, online sources. Not only is the process often illegal, but the products being ordered can be dangerous. 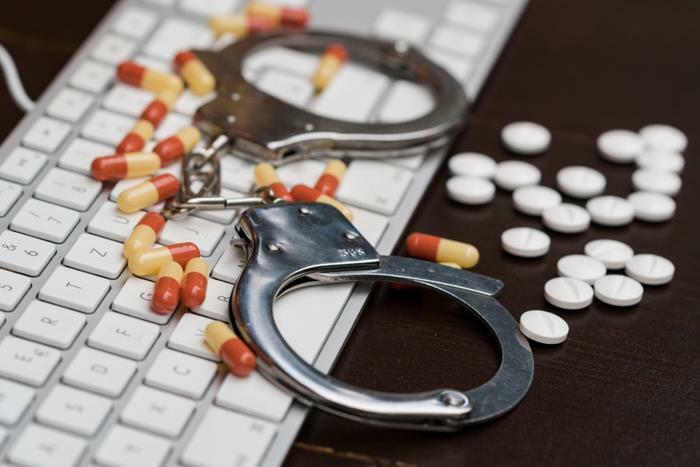 And, with that knowledge in hand, J-CODE is taking a proactive step by reaching out to individuals who are known to have purchased drugs online. Unfortunately, sometimes the message arrives too late to save someone’s life. In other cases, agents learn from buyers that they had, fortunately, survived an overdose.